As well as being therapeutic/remedial, treatments can also be wonderfully relaxing and they can be seamlessly combined where appropriate (this can be discussed during your consultation). 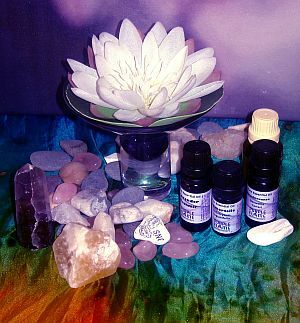 A holistic treatment can be a catalyst for the healing process, giving the mind, body and spirit space to just be. Tired tense muscles let go, release, bringing improved circulation and flexibility. Aromatherapy is a treatment using exquisite scented aromatic essential oils combined with therapeutic massage (also remedial massage). 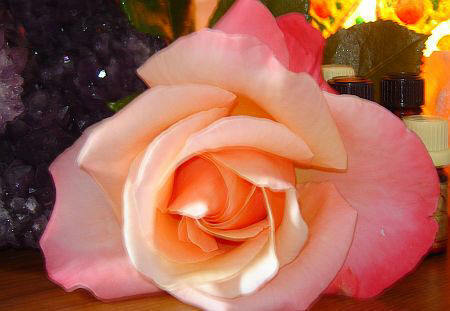 Holistic and nurturing, it evokes a feeling of deep relaxation, lightness and space in the whole body, mind, spirit. Aromatherapy is most well known for its mood enhancing effects helping to reduce anxiety, fatigue, making you feel 'put back together' again but somehow, also released. Medicinal properties of the oils take massage to another level as they are absorbed through the skin and into the bloodstream, helping to relieve pain, swelling (lymphatic) and inflammation and when inhaled affecting the nervous system, breathing (chest problems) and creating a wonderful feeling of wellbeing, Remedial massage can be combined where appropriate without disturbing the natural flow and ambiance of relaxation. Reiki, Reflexology, Acupressure or Bowen moves may be added if it feels right to include them. It's like alchemy....just what you need in that moment. Bowen therapy is a none-invasive remedial therapy that treats a wide range of problems, often when nothing else has seemed to help. Gentle rolling movements are specifically applied over muscles, tendons and ligaments with short breaks (2mins) that allow the body to register that something new has happened as it begins to 'unravel' and heal (going back to 'default' mode). Treatment can be done through light clothing. 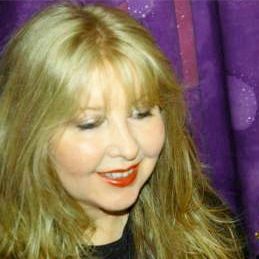 Most people report feeling very deeply relaxed during and after the treatment. Conditions reported to respond to Bowen Therapy are: Back pain, Joint and muscular problems, aches and pains, ear problems, TMJ (jaw problems), neck pain/whiplash and shoulder problems, Respiratory problems, breast (lymphatic). Helpful for IBS an digestive disorders, pregnancy and fertility, RSI, Carpal tunnel, tennis elbow, groin strain, hamstrings, ankle and foot problems fatigue, pelvic problems and depression. Bowen Therapy unlocks tension in such a gentle way, without force and is so relaxing. It is suitable for children, during pregnancy and is good at maintaining the body in an optimal state of equilibrium. "Its a vital support in putting right a whole range of new aches and pains making sure that old injuries don't cause me problems and helping me fight stress and fatigue" (Bear Grylls - Born Survivor). Rossiter system is a powerful series or innovative two-person stretches that works on the muscles, tendons, ligaments and connective tissue. It improves mobility, boosts performance and flexibility from head to toe. Rossiter System is beneficial for stiff necks sore/tight shoulders, lower back pain and sciatica, hip pain arm/wrist pain, tennis/golfers elbow, headaches, foot and ankle pain, heel spurs and gout, plantar fasciitis, carpal tunnel, hand problems, hamstrings, migraine, prevention and relief of pain. Regain and build your range of movement and so much more! (See Rossiter page for more detailed explanation). 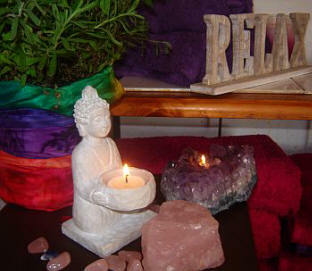 Reiki is a holistic treatment of energy healing that works on your mind body and spirit. It induces a feeling of deep relaxation, helps to release emotional blockages, speeds up natural healing. Reiki is helpful for stress, pain and bringing a feeling of 'lightness' as it balances the bodies subtle energies. It can be used as support to with other medical modalities and natural holistic treatments, i.e. Aromatherapy, Reflexology etc. The basic principles of reflexology is that the reflexes on the foot correspond to other parts of the body, glands and organs, helping to correct physical and emotional imbalances by stimulating the nerve/energy meridians or pathways of the body releasing energy blockages. By using specific pressure on the feet reflexology helps to relieve congestion, tension, stagnation (energy) and inflammation in the body. It stimulates the immune system and brings the body into balance. � Relieves stress and tension. � Balances all the organs and structures of the body and helps to detoxify the body. You can have Reflexology for the pure joy of having your feet treated with tender loving care and to maintain good health and happiness! 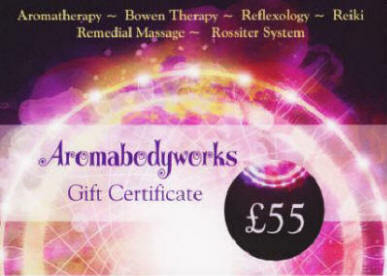 Aromabodyworks Gift Certificates make a wonderful presents for birthdays and special occasions. Available in different price values. Please ring for details. Gift certificates available in �5, �10, �20, �25, �35, �40, �45 and �55. Check for special offers over different periods of the year. If you are interested in knowing about them please look on this website under special offers and send me an email if you would like me to inform you this way. 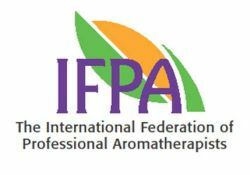 Registered Member of the Bowen Therapy Professional Association, International Federation of Professional Aromatherapists and London and counties society of physiologists.